Many of our competitors were having difficulties with wax with the new snow and temperatures right around freezing. The new snow along with frequent snow squalls within the rolling foothills of the Adirondacks made the day a memorable experience! Thank you to all the club volunteers for making the event special! Tim Huneck’s open minded approach and quick effective decisions kept the event going with out a hitch. Curt Schreiner our course setter and his grooming sidekick Darryl Rikert had trail conditions perfect. Volunteers Mona Caron, Emma Huneck, and Jake Madelone assured that registration went smoothly. Darryl Caron’s early executive decisions kept the check in and registration process running smoothly. Charlie Huff had the computer up and running early getting day of race registrations entered. Tim Huneck and his crew of Uwe Weidmann and John Salls had the start line running smoothly. There are some humorous stories about two racers who missed their start. Perhaps these stories would be good fodder for a future article. Tracy Moore helped guide athletes as they lapped through or finished. The important job of recording bib order and finish times fell to a team of Mona and Darryl Caron and a duplicate, back up team of Emma Putnam and Bernadette O’Brien. Joanne Burns made sure someone didn’t inadvertently drive home with our race bib still their torso. Tracy Moore did a great job providing food and drinks for finishers. Tim Huneck started of the last leg of the event with a mass of Bill Koch Youth and Citizen racers each doing a 3.3 k loop. Once everyone was finished, the awards ceremony in one way or other recognized each competitor’s successes. Tim Huneck, Tracy Moore and Eric Hamilton did the honors. Now all we need is some photos to accompany this article. 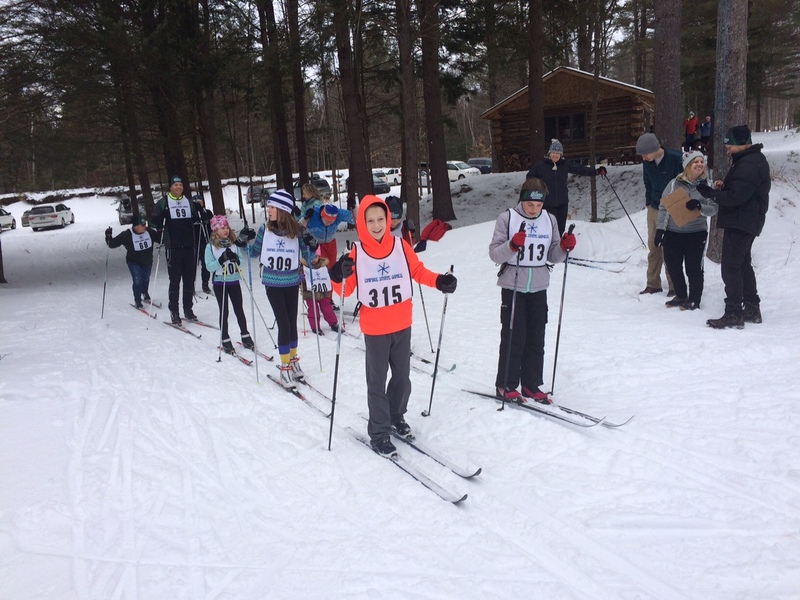 Skiing Sunday morning was good at Saratoga Biathlon. They have good coverage on over 3.5 k of groomed trails. Further back in the trail system there seems to be even more. All that will freeze into an excellent base. What they need is several inches of new snow this week to have something to set tracks. It is snowing now. Register for Saturday’s race. You don’t have to pay until you arrive on site Saturday morning. The first racer will go off at 11 AM. Don’t miss it!